For most of us living in the Bitterroot, spending time along the river or one of the many valley streams is a highlight of our outdoor connection. 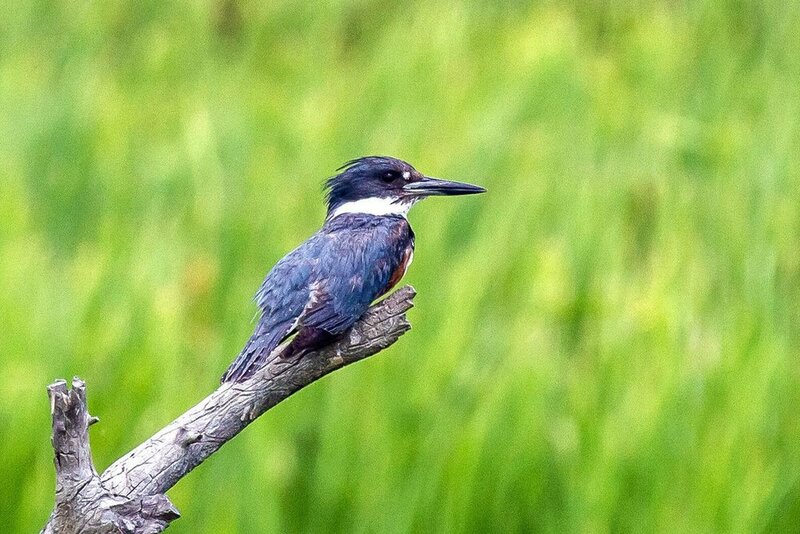 Whether fishing from a raft, wading, or just out for a walk with the dog, those visits have undoubtedly provided an opportunity to encounter one of nature’s most accomplished avian fish predators, the belted kingfisher. Typically, you hear a loud “rattle-chatter” call as the bird parallels the water course, finally perching on a branch overlooking a pool of clear water. Suddenly, the bird plunges downward, makes a splash on the water, and quickly ascends back to the perch with a 2-inch fish in its beak. Swallowing the prey head first, the bird ruffles its feathers to knock off a few remaining water beads before it departs, echoing the “rattle chatter” as it flies off.